The SWMS sets out the work activities in logical sequences, identifies hazards & describes control measures. We have worked with a variety of businesses to develop their SWMS in consultation with them to ensure safe work practices are implemented. A good safety manual is fundamental to good safety management. Take the headache out of writing your safety manual, and purchase one of our ready to go templates. Client safety requirements can be confusing – let us assist you by preparing documentation to meet your client’s safety requirements. We can even help with third party contractor management assessment compliance. Our experienced professionals have put together a range of Manuals and Packages to suit all budgets. Whether you need a basic manual for a Sole Operator or a more comprehensive setup, we have something to suit your needs. We also provide consulting services as required. The procedure you have done up for us is way more then we were expecting!!! 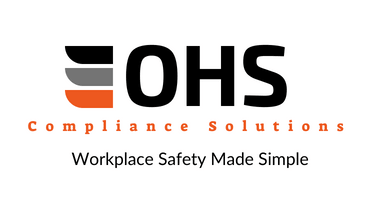 “OHS Compliance Solutions provide professional service and a quality product at the right price. I highly recommend their services”. Sublime Masonry Constructions Pty Ltd.
Take the headache out of safety! Join our mailing list and we will also send you our 5 Simple Steps to Workplace Safety guide!